But in brief, the Hunt gives you the opportunity of possibly winning 26 non-fiction and fiction/novels from 26 different authors. And my Bonus Drawing (below). At this stop, I’m hosting Sarah Sundin, author of Anchor in the Storm, which is the book she’ll be contributing for the Grand Prize. I’m eager for you to get to know Sarah, so let’s get going. Sarah, when did you first have a desire to write and was your passion always fiction? Although I’d always loved reading, writing, and stories, I chose a career in pharmacy. One morning in 2000, I woke up from a dream so compelling that I had to write it down. I had NO idea what I was doing and that first book will never be published—nor should it—but it got me started. 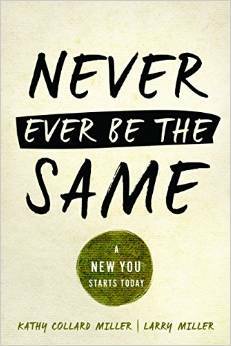 Thanks to advice from one of my mother’s friends, a multi-published author named…Kathy Collard Miller (! )…I joined a writers’ group and began attending writers’ conferences. My writing passion has always been fiction. Nonfiction writing feels like a school assignment that I slog through and count words. But stories fly out of me, and I have to cut words! Sarah, I still remember talking with your mom at bowling. She was so excited you were working on a novel. The Lord sure orchestrated those circumstances. I’m proud to say I was a part of His work. So here’s the next question: Growing up, what kind of books did you enjoy reading the most? Did those prepare you for what you do now? I read everything I could—contemporary and historical fiction, biographies, history, humor, cereal boxes, and shampoo bottles. I think all good reading shapes us. It affects how we see others, the world, and events. It allows you to appreciate other cultures and time periods. It forces you to think about who you are and how you would—or should—react in a similar situation. To me, it’s an honor to write historical fiction and to open eyes to how people lived during World War II. At what point did you know your genre would be historical fiction? What drew you to the themes of war times? My first two (never published) novels were contemporary romances. When a story kernel for a third novel came to me, I knew it had to be historical rather than contemporary. The World War II era called out to me. My grandparents served in various ways during the war, and they were storytellers. Plus, my father was always watching WWII documentaries, and many of those books I consumed as a girl were about the war. The WWII era is rich with drama, daring, and romance—perfect fodder for the novelist. How did God lead you and how did He design it into the ministry you have now? I adore looking back and figuring out how God led me to where I am today. Majoring in chemistry seems like a waste for an author—but it helps me decipher the gunnery and pilot’s manuals that make my military action scenes realistic. A career in pharmacy seems like a detour—but my health-care background allowed me to write stories about WWII nurses and pharmacists. Teaching Sunday school prepared me for the public speaking that can bolster a writing career—when you teach fourth-graders, you quickly learn to become animated and dynamic, or else the girls begin braiding each other’s hair and the boys have each other in headlocks. And all life’s hurt and rejection and pain and sin and loss embarrassments and mistakes—those enrich my stories, because I can feel what my characters are feeling. God wastes nothing. For the kind of writing you do, do you have a system? Very much. That’s the pharmacist in me. Many novelists come up with a basic story idea and start writing, with no idea how it will develop. My analytical mind is baffled and amazed by that. I have a long percolation phase for a story idea when I play with it and see if I like it and do basic research to make sure it works historically. Then I build the story slowly, from a one-page blurb to a five-page synopsis. I fill out detailed character charts getting to know these fictional people I love. Then I write a thorough outline. As I write the rough draft, I do veer from my outline due to research, getting to know my characters better, or just a great plot idea. But the basic story remains. An outline frees me to write, same as a solid itinerary allows me to enjoy a journey unfettered with worries about where we’ll spend the night. For your books, is the plot or the characters most prominent? My basic story idea usually comes from the plot. 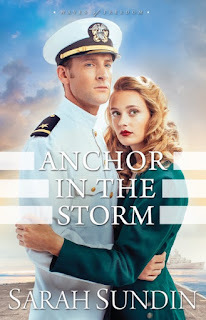 For Anchor in the Storm, I had the idea of a US naval officer battling German U-boats off the East Coast (based on research) and a female pharmacist investigating a drug ring on the US home front (based on some problems my pharmacist husband encountered—although no drug ring, thank goodness). After that story kernel, the characters take over. They’re the heart of the story and drive the rest of the plot. How do you include God in your writing? I pray regularly for my writing, that God would direct my words, that He would be honored through them, and that He would use the stories in my readers’ lives. The spiritual messages in the novels arise from the characters. Like all of us “real” human beings, my characters have issues. Sins they’re justifying. Fears that hold them back. Pride that hinders them. False ideas about God that skew their thinking. For Anchor in the Storm, both Arch and Lillian have put their security and their identity in a career. Then those careers are threatened. Who would they be without their careers? Where is their security? Both learn to hold on to the Lord as an “anchor of the soul, both sure and steadfast” (Hebrews 6:19) no matter what storms life throws at them. Readers, did you notice the two words highlighted above in yellow: “in a”? Those are this stop’s clues for the Scavenger Hunt. Here’s your last question, Sarah. How can readers connect with you? Thank you, Sarah, for being a part of the Scavenger Hunt. 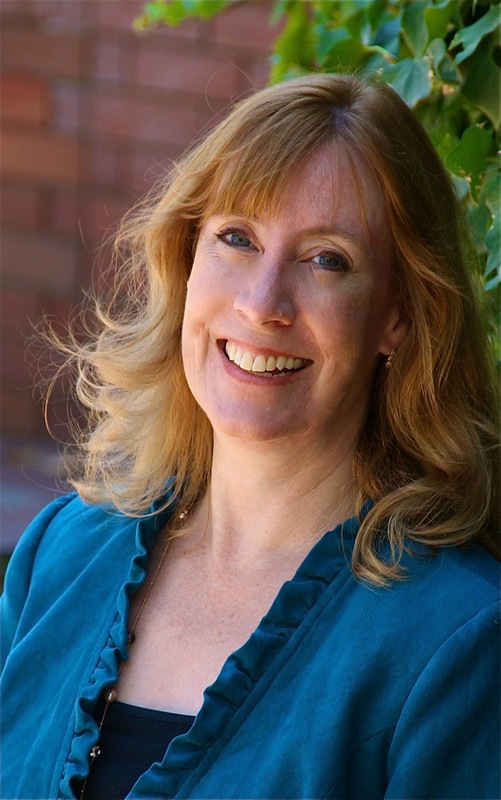 Sarah Sundin is the author of eight historical novels, including Anchor in the Storm. Her novel Through Waters Deep is a finalist for the 2016 Carol Award, won the INSPY Award, and was named to Booklist’s “101 Best Romance Novels of the Last 10 Years.” A mother of three, Sarah lives in California, works on-call as a hospital pharmacist, and teaches Sunday school. She also enjoys speaking for church, community, and writers’ groups. 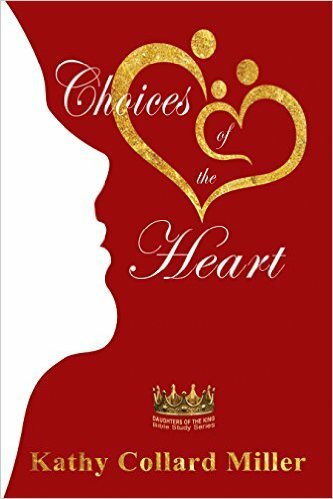 Here’s more information about the Hunt: If you’re the CAN Scavenger Hunt’s Grand Prize Winner, I’ll be sending you a copy of my Bible study, Choices of the Heart: Daughters of the King Bible Study Series. 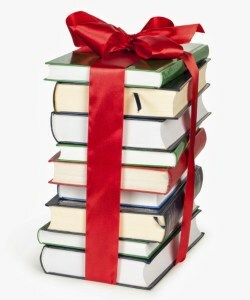 And you’ll be sent 25 books from 25 other authors. 3. 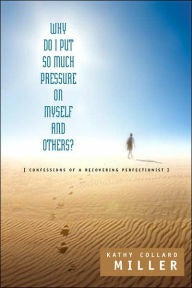 Why Do I Put So Much Pressure on Myself and Others? 1. Get 1 point if you comment. 2. Get 1 point if you subscribe to my blog. (If you’re already a subscriber, just tell me and you’ll still get a point). You’ll find the Subscribe Opportunity on the upper left hand corner of my blog. www.Facebook.com/KathyCollardMillerAuthor. (If you’ve already “liked” me, let me know and you’ll still get a point). Now you can head to the next stop in the Scavenger Hunt: www.SarahSundin.com. She’ll be hosting Dianne Barker. I love her books too! I earned my 3 points and hope to win the drawing! I am fairly new to Christian Authors and hope to find a favorite! I earned my 3 points . Hi Rhonda, thanks so much for stopping by, I really appreciate it. I hope the Hunt is enjoyable for you. I'll put your name into my drawing for 3 points. God bless! I have 2 points. Thank you for the chance. Thank you for making sure I had your email contact. I've put you in for 3 points. I really appreciate your participating. Enjoy the Hunt! Thank you, Emma. I've put in your 3 points for my drawing. I hope you're enjoying reading about so many wonderful authors and their books. I have 2 points. Enjoyed reading your story on the previous blog. Your openness is refreshing and I'm sure will help others who may feel like they are all alone. Thanks for the contest! You're welcome, Lucy. I've put your two points into the drawing. And thank you so much for being a part of this fun event. Enjoy! Hi "M and R," so glad you visited me and thanks for your encouragement. Please check back next Sunday evening to see who won my own blog's 3 books. Or leave an email in reply. I've put your 2 points into the drawing. As a girl who had a rough childhood, I think your books would be beneficial to me. I also subscribed to the blog. I "Liked" your Facebook page, subscribed to your newsletter, and now I'm commenting. I thoroughly enjoyed this interview with Sarah Sundin. I love her books. I am having a great time with this scavenger hunt. Thank you, Trixi, for participating in the Hunt and earning three chances in my drawing. I'm so pleased you are open to reading non-fiction books. But like you, I sure love the fiction ones too! God bless you and check back on Sunday for the winner. Thank you, Dani, for commenting and subscribing to my blog. I've put two entries into the drawing for you. My heart goes out to you for your rough childhood. I know how that can impact our lives. My husband and I are lay-counselors and we know our own stories and hear the stories of many others. Let me know if you don't have the support you need. Debbie, I'm so glad you're enjoying the Hunt. It really is a fun concept. I've put three entries into my drawing and thank you for your email address. God bless you! Thanks for participating in the scavenger hunt. Enjoying reading about authors that I like and some that I am not familiar with. I have 'liked' your Facebook page and subscribed to your newsletter. Now, leaving a comment. I think that gives me 3 points? Thank you for participating in this hunt, I'm finding new authors and that is always fun. Carla, I'm so glad you're a part of our Hunt. And yes! You get 3 points. I have it down. Thanks so much for stopping by. Hi Karen, I agree, this is so fun and I'm thrilled to meet so many wonderful new "friends." I've given you 3 points and really appreciate you taking the time and effort to put in your name into my drawing. Blessing to you! Hello Kathy and Sarah! Thank you for participating in the scavenger hunt. Caryl, welcome to my blog and I'm so pleased that you've joined our little venture. I've put you down for 3 entries. I hope you continue to find my blog meaningful. Becky, thank you so much for stopping by and I'm so glad you're enjoying the Hunt. It is fun!!!! I've put three entries in for you. God bless! two points and thanks for participating. Thanks so much for entering!!! I've put your two points in and thank YOU for participating. Rhonda, CONGRATULATIONS! You are the winner of my drawing! I'll contact you to get your mailing address. Thank you so much for being a part of the Hunt and my drawing. Thank you to everyone who participated in the Hunt and in my drawing. The winner of my drawing is Rhonda Gothier, CONGRATULATIONS! I'll contact you to get your mailing address. Thank you so much for being a part of the Hunt and my drawing. So awesome! Thanks so much!